Padlocks and chains: which is the weak link? If you have been following us for some time you will have noticed that one of the topics which is close to our heart is that of quality, in terms of the true strength of the products to withstand attacks by thieves and the reliability over time. The advice is always the same: invest in security and do not renounce it to save just a little money: the value of the assets exposed to risk is always much higher than the money that it is believed to have been saved! 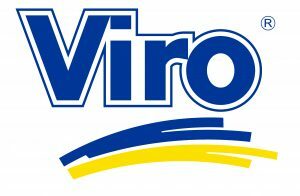 With regard to quality, we have carried out tests in our laboratory to evaluate the resistance of Viro products, compared with others on the market. Today we are showing you a video of one of your tests. 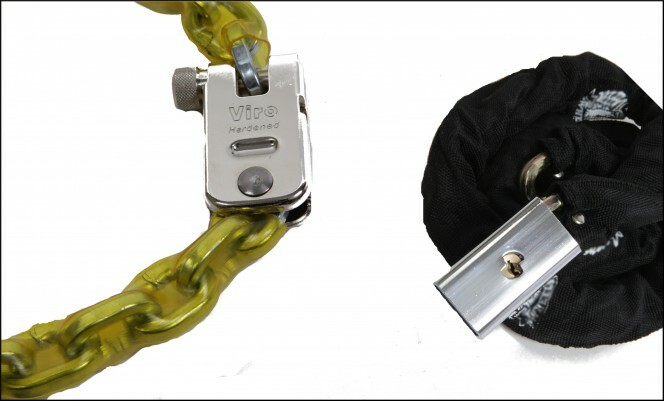 The Viro Morso padlock and chain for bicycles has been compared with an imitation made in the Far East, which appears to be similar and is clearly much cheaper. The test you will see, in the first video below, shows how the imported Far Eastern product behaves after a salt spray test when it is placed inside an instrument which reproduces blows made from a height of one meter, from the top downwards, with a weight of 3.05 kg. The purpose is to simulate an attack by a potential thief, who attempts to steal a bicycle using a hammer to break the link between the padlock shackle and the chain. In this second video the Viro Morso padlock and chain, made in Italy, undergoes the same treatment after the same salt spray test but the results are very different. In the first case, the imitation product (the body of which is made of Zama alloy and the “armour” of which is not made of case-hardened tempered steel) breaks after just 3 blows, letting the lock-bolt escape, thus freeing the chain; in the second case, the original Viro product (the body of which is made of solid brass, protected by a case-hardened, tempered steel armour) only loses the head of the lock-bolt after being struck 5 times (at the programmed breakage point, so that the padlock remains closed and it is not possible to grasp the remaining part of the lock-bolt to pull it away), whilst the padlock does not open and the chain remains anchored to the lock-bolt. Comparison after testing resistance to blows on Viro “Morso” and imitation padlock. In a previous blog the Viro Morso and a copy were compared to detect the differences visible to the naked eye. We therefore reached the conclusion that, thanks to resistant materials and accurate manufacturing techniques, together with ad hoc chemical and heat treatment, the Made in Italy Viro product offers greater security and durability. After filming the outcome of these tests, we can confirm that, as already suggested by taking a closer look, the Viro Morso is more resistant. If you want to protect your bikes (or any other valuable object) always make sure that the item you’re buying is not only cheap but also that it is well made, relying on Italian products (Made in Italy) and brands which have always been synonymous with quality. As the well known proverb says, “A chain is only as strong as its weakest link”. This entry was posted in Padlocks and tagged products, technology, tips on 12 April 2016 by calessandrini.